Published: May 20, 2016 at 11:43 a.m. Updated: May 20, 2016 at 03:35 p.m.
With the advent of the graduate transfer, college football's offseason has become something of a free-agency period for players looking for a fresh start, particularly at the quarterback position. College Football 24/7's "16 for '16" series continues with a look at 16 impact transfers. Two-year junior college players, whose impact is less predictable, are not included. 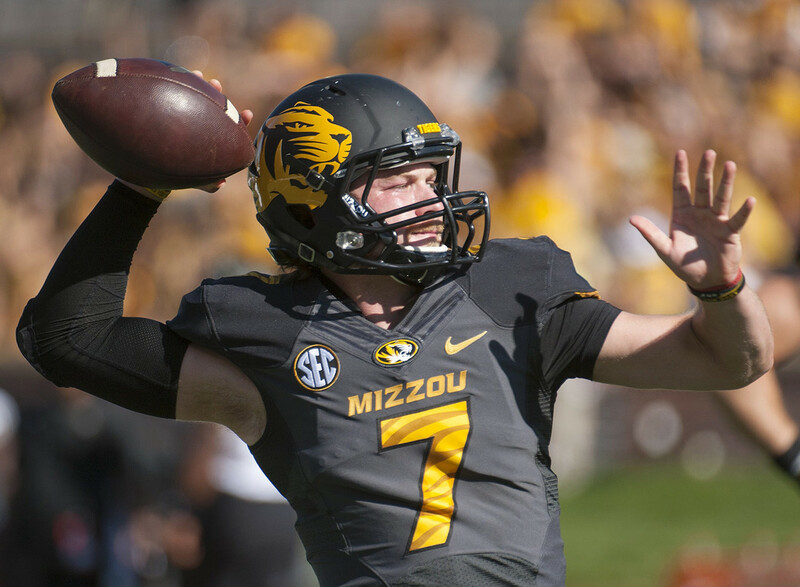 Disciplinary problems resulting in three suspensions and a dismissal from Missouri left Mauk searching for a second chance for his last year of college eligibility. He found it in EKU. Even in his only full season as a Missouri starter, in 2014, Mauk's passing was erratic at best. But he brings a lot of mobility to the position, and at a lower level of competition, he'll have a better chance to flourish. After sitting out 2015 under transfer rules, the former five-star recruit is primed to electrify the Aggies' backfield. Ford's raw talent merits listing higher, but we'll anchor him here until Kevin Sumlin's offense brings the position out of relative anonymity. New Maryland coach DJ Durkin added a legacy here; Edmunds' father is former Maryland and NFL TE Ferrell Edmunds. He rushed for 675 yards and 10 touchdowns as a VT freshman in 2013, flashing with a 77-yard touchdown run in his career debut against Alabama. Injuries have limited his career playing time significantly. He won't be handed the starting role, but the job came open with Brandon Ross' exit (Minnesota Vikings undrafted free-agent signee). Where does the Falcons' 1,000-yard receiver fit in at Alabama as a graduate transfer with two established receivers returning in Calvin Ridley and ArDarius Stewart? If he claims a role similar to last year's grad transfer, Richard Mullaney, he'll play extensively in the slot and make a big difference for OC Lane Kiffin. It's tough to forecast what Del Rio will be able to do for the Gators, because he just hasn't played enough. But we know he found a golden opportunity at UF, where his former coach at Alabama, Jim McElwain, has overseen scrambled quarterback play. If he starts, he'll have an impact on the SEC East race one way or another. If the son of the Pro Football Hall of Famer sparks the Cowboys' offense, this transfer figures to be the most fun to follow of any listed here. A career backup at Stanford, Sanders joins the program where his father emerged as a record-breaking superstar in 1988. Barry J. Sanders' 6.2 yard-per-carry average last year was even better than Cardinal starter Christian McCaffrey, a Heisman finalist. OSU could use a boost at the position. When Everett Golson's transfer from Notre Dame to FSU became official a year ago, Franklin's was official soon after. After a one-year pit stop at East Mississippi Community College, Franklin arrives at Auburn with a wide-open opportunity to win the quarterback job. Fun Franklin fact: During FSU's preparation for Auburn entering the final BCS National Championship Game, Franklin was the FSU scout-team quarterback who the Seminoles' coaching staff chose to mimic the athleticism of Auburn dual-threat QB Nick Marshall. Lewis makes the move from PSU to Oklahoma following a drastic dip in his role in the Nittany Lions' offense. He caught 55 passes for 751 yards in 2014, but was just 17-for-196 receiving last year. Nevertheless, Sooners coach Bob Stoops found him to be a worthwhile addition. Lewis, a graduate transfer, immediately becomes an additional weapon for QB Baker Mayfield. Hill looked like a budding star halfway through the 2014 season as the replacement for Johnny Manziel, leading the Aggies to a 5-0 start before the wheels began to fall off. Once he lost the starting job to Kyle Allen, he lost his desire to stay at TAMU as well. Hill sat out 2015, and the void left by Trevone Boykin at TCU means he won't have to beat out an established starter. At one time, it appeared Towles was the quarterback of the future for Kentucky coach Mark Stoops. Each of his two seasons as a starter were marked by a Wildcats collapse, however, as UK lost its last six games in 2014 and six of its last seven in 2015. So with more than 5,000 career passing yards, Towles looks to finish on a stronger note with BC this fall in his final season of eligibility. Catalon was a highly regarded recruit when he arrived at Texas in 2014, but after a redshirt season he was ready for a change of scenery. That turned out to be at UH, and after sitting out 2015, he's ready to re-emerge under second-year coach Tom Herman. He'll help take some pressure off QB Greg Ward, who served as both leading passer and leading rusher for the Cougars last year. The son of the former Tampa Bay Buccaneers star by the same name transferred after his dad was hired by Lovie Smith as the Fighting Illini's new defensive coordinator. He enters Big Ten play as a Pac-12 veteran of 245 career tackles and is eligible immediately as a graduate transfer. Last year, Nickerson led Cal with 112 stops and brings three seasons of starting experience to UI. Oregon dipped into the FCS ranks for a new quarterback for the second year in a row, but be aware of one key difference between Prukop and last year's plug-in, Vernon Adams: Prukop enrolled in January and competed in spring drills, while Adams didn't begin practice until mid-August due to an eligibility snag. That Michigan coach Jim Harbaugh hasn't yet named a starting quarterback is no indictment on O'Korn; Harbaugh is one to hold that card closely regardless. In a bid to replace Jake Rudock as the starter, O'Korn has a season of Michigan practice under his belt, plus a 3,000-yard season of Houston game experience in 2013. Replacing Jared Goff wouldn't be easy for anyone, but the Golden Bears at least can turn to someone with some experience in Webb. After first committing to Colorado, Webb went with Sonny Dykes instead. Webb threw 44 touchdown passes over his first two seasons at Texas Tech, yet lost the job to an even more effective Patrick Mahomes last year. As a graduate transfer, Webb is immediately eligible. Knight's star at Oklahoma looked to be in full orbit on Jan. 2, 2014, when he torched Alabama's secondary for four touchdown passes in a Sugar Bowl upset win. A little more than a year later, he had lost the starting nod to Baker Mayfield, and looked for the exit. The Aggies, after three outgoing quarterback transfers left Kevin Sumlin exposed at the position, welcomed Knight with needy arms. He also steps into loaded, proven weaponry at the receiver position.